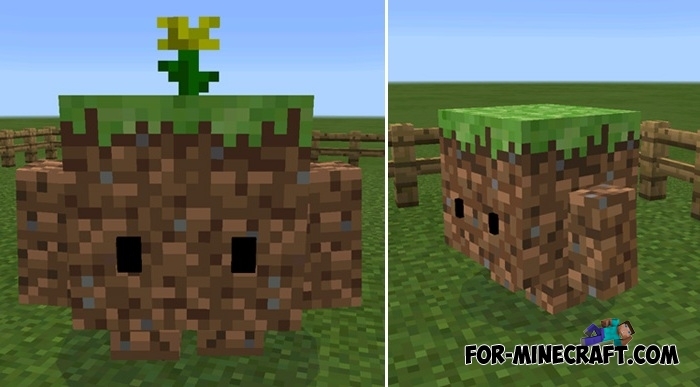 There is one of the oldest mods for MC:PE that will add useful companion. There are 7 types of blokkits, each consist of different materials which determine their look. These companions can grow and improve their characteristics, follow your orders, attack your enemies, and can be named. 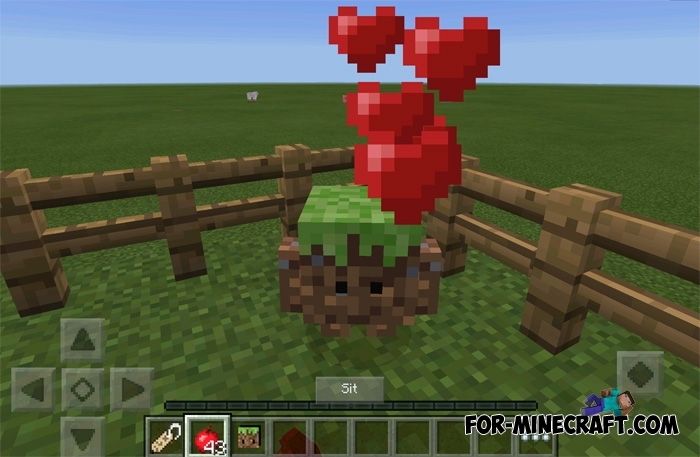 Install the Blokkit mod if you are alone and you want to make useful friends. How to find the blokkit? Blokkit can be crafted of the ground, wood and even diamonds. See crafting recipes below. How to tame and improve your Blokkit? Gather ten apples (or even more, they will be useful) and tap on any blokkit. There is a certain chance of taming that depends on your luck. Once blokkit has been tamed, you can improve its parameters (strength and health). Tap on the blokkit and you will see the characteristics. Feed him as often as possible, and your creature will gradually grow and gain experience. Use nametags to give a unique name for the blokkit. The Blokkit mod allows you to create as many blokkits as you want. But keep in mind if you make more than 40 blokkits, the game may lag and crash. Order your blokkit to stand and wait if you do not want to take it with you. Blokkit will protect you until die. Blokkit gains experience if it often helps you to resist the hostile mobs. How to install the Blokkit mod? Download the mod and start BlockLauncher. Click on the wrench and go to ModPe category.